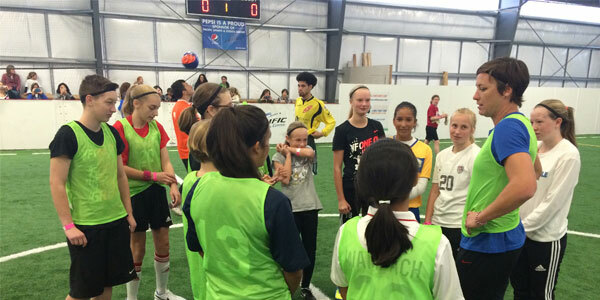 One week later, Wambach was back on the field — this time joined not by her USWNT teammates, but by Redmond's Evelyn Briggs and other Washington Youth Soccer players, who gathered at the Tacoma's Pacific Sports and Event Center for lunch and a private clinic with the U.S. soccer legend. In all, players raised more than $22,000 for TOPSoccer and Soccer for Success — inearly 25 percent of which was raised by one fundraiser alone. Briggs, an 11-year-old from Redmond, raised more than $4,500 through weeks of fundraising through friends, family and at public locations throughout her community. As a reward, Briggs was Wambach's "right-hand girl" throughout the day, accompanying the star in the clinics and sitting next to her at lunch. 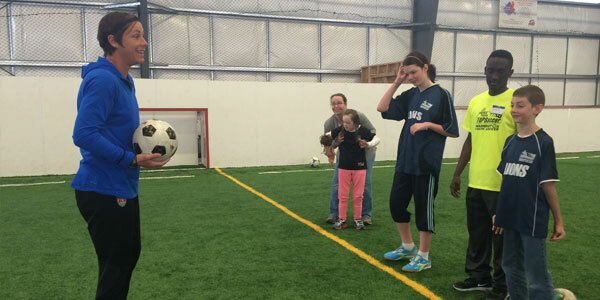 "One of the lessons that I think really hit home was that you can't ever let anyone tell you that you can'd do something," says Matt Moran, Washington Youth Soccer's Director of Competitive Programs. "She recalled that a counselor once told her sister that she couldn't go to Harvard and be successsful, because their grades weren't good enough. But her sister worked hard and did end up going to Harvard, and obviously Abby has earned all of her success as well. The lesson was that if you set a goal and work enough towards it, you can achieve it. 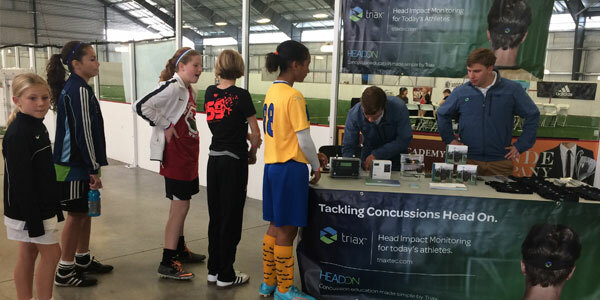 "It was great to have all the kids wearing the headbands during the clinic," Moran says. "It's just one more way to keep kids safe and allow parents to make more informed decisions on return to play."